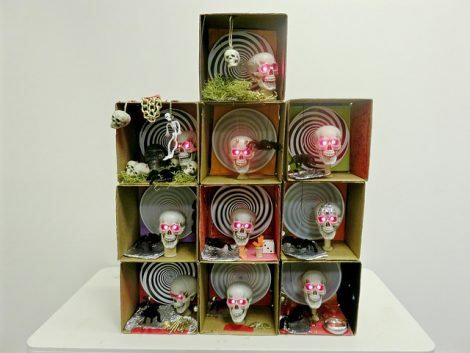 The Halloween "Wonderbox" is an interactive art project designed by Pataphysics Studio *. We've broken the project into four parts in order for you to bring Halloween characters to life with sound, lights and motion, using simple electronic parts and craft materials. 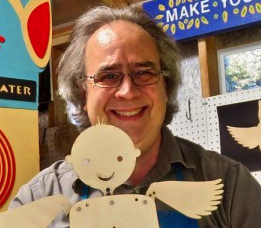 Overall, this ‘maker art’ program seems like a great way to teach art and technology to school children, in a playful way that makes their learning experience more fun. The electronics for this project comes in many of the KitHub kits including the Classroom Motorized ArtBot kit and all of the STEAM program kits. A ‘wonderbox’ is an interactive art experience that features playful characters in miniature dioramas. Characters include singing flowers, alien invaders, X-ray skulls and more. Each wonderbox twinkles with lights, plays sounds and/or makes characters move. What this means, is that the design of the wonderbox is entirely up to you! This is your art project. There are no rules! For inspiration, checkout these photos from a workshop in San Francisco. 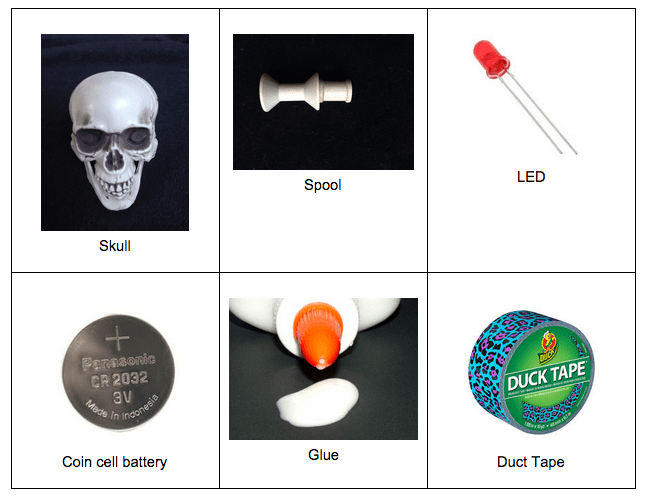 Make your skull's eyes light up: add LEDs in its eye sockets, and tape them to a small battery. Test your LEDs. 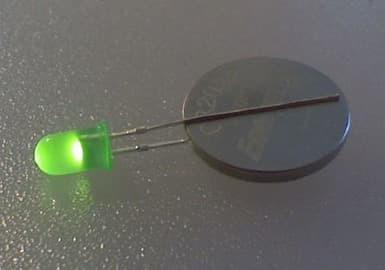 Use an LED and coin cell battery: Pinch the LED legs, or leads, to the coin cell battery terminals. The longer LED lead, called the anode, should be touching the positive terminal (+) of the battery and the shorter LED lead, called the cathode, should be touching the negative terminal (-) of the battery. Place 1 LED through one hole in the skull’s eye. Add 1 coin cell battery like in step 1. Tape the LED leads to the battery by wrapping duct tape 2-3 times around both sides of the battery. Keep the tape very tight as you wrap. 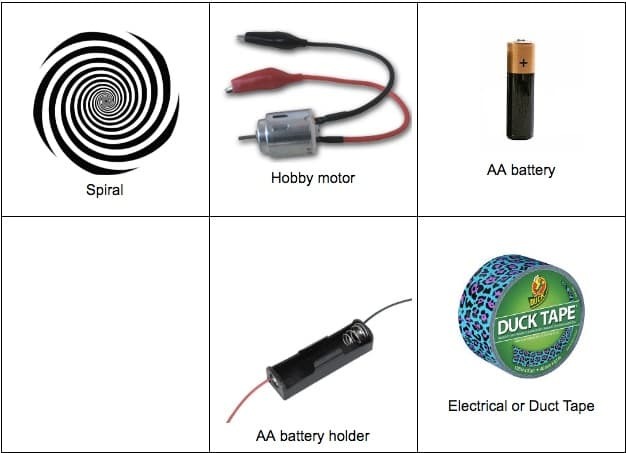 Repeat with the second LED and coin cell battery. Mount skull on spool. Use glue to secure in place. Place your skull into your box. Make something spin in your box, like a spinning spiral. Add a motor in the back of your box, position a piece of art to the motor shaft, and connect it to a battery to make it spin. Place the AA Battery in the AA battery holder. Attach the red alligator clip to one AA battery holder lead (it doesn’t matter which). Attach the black alligator clip to the other AA battery holder lead. If the motor starts buzzing, your connection is good! Troubleshooting: If your motor doesn’t spin, make sure the connection between the AA battery holder leads and alligator clips are good. Also ensure your battery is good. Poke the motor shaft through the back of the box. Tape the battery pack to the back of the box. Place the spiral artwork on the inside of box with the motor shaft poked through the middle of the paper. Make a sound for your character: record a sound for your skull or spider (or other character), and create a button with conductive material to make it play. 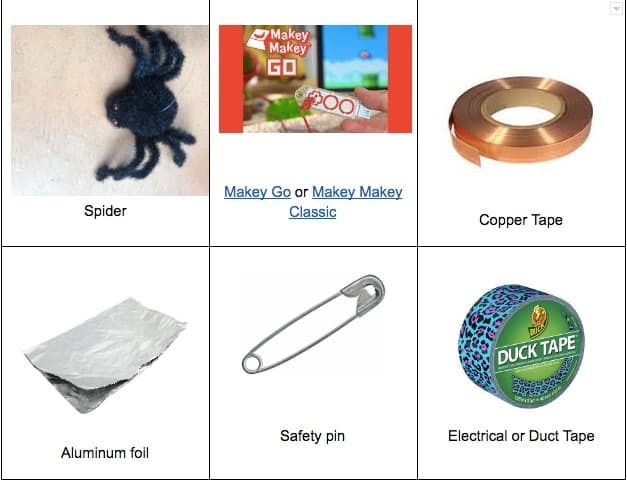 Read the instructions from the Makey Go website.